The LT3752/LT3752-1 is a high-input voltage-capable synchronous forward controller with an active clamp transformer reset. A controlled VOUT start-up and shut-down is maintained with an integrated housekeeping controller to bias the primary and secondary ICs. The internal bias generation also reduces the main power transformer’s complexity and size by avoiding the need for extra windings to create bias supplies. 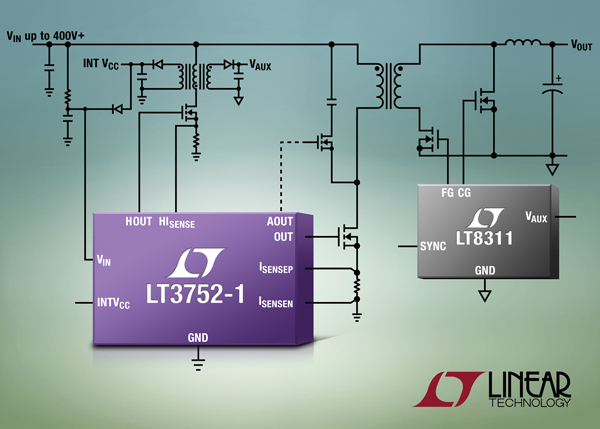 The LT3752 operates over a 6.5-to-100-V input voltage range. The LT3752-1 is well suited for hybrid vehicle (HV) and hybrid electric vehicle (HEV) applications. For up to 400-V inputs and greater, it enables RC start-up from the input voltage with the maximum voltage limited only by the choice of external components. A ±5% output voltage regulation can be attained without using an optocoupler. An optocoupler can be used to obtain ±1.5% output voltage regulation. The LT3752/-1 uses a pulse transformer to send a control signal to a secondary-side MOSFET driver for the synchronous rectification timing. It can also be used in self-driven applications the power transformer pulses control the secondary-side MOSFETs. With the LT3752/-1, secondary-side ICs no longer require start-up circuitry to operate when the output voltage is 0 V, which enables a controlled VOUT start-up. 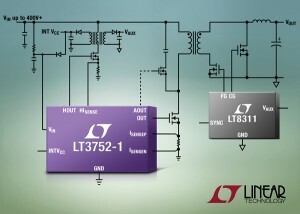 The LT3752/-1 has a programmable 100-to-500-kHz operating switching frequency. It can be synchronized to an external clock, so a range of output inductor values and transformer sizes can be used. The LT3752/-1 is available in a TSSOP-38 package with several pins removed for high-voltage spacing. The LT3752/-1 E- and I-grade versions function from a –40°C-to-125°C junction temperature. The LT3752/-1 H-grade functions from a –40°C-to-150°C operating junction temperature. The LT3752/-1 MP-grade functions from –55°C-to-150°C operating junction temperature. The LT3752/LT3752-1 costs $3.39 in 1,000-piece quantities. 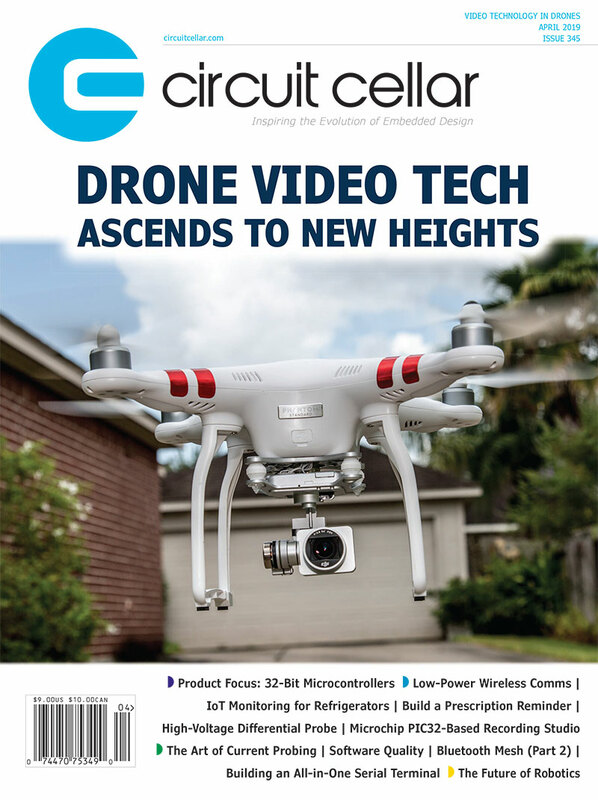 This entry was posted in Product News and tagged active clamp transformer reset, external clock, hybrid electric vehicle, hybrid vehicle, IC, integrated housekeeping controller, internal bias generation, MOSFET driver, optocoupler, pulse transformer, synchronous forward controller by Circuit Cellar Staff.